Recurring knee pain can definitely make you want to hang up your running shoes for good. If you are one of the many runners struggling with runners knee pain, check your running form, especially how your foot lands on the ground as you want to make sure you are landing with a forefoot strike when you run, not a heel strike as heel strike running is strongly linked to common running knee injuries. Landing on the front of your foot, instead of heel first, while you run prevents irregular motions of the knee-joint during stance. Forefoot running was found to reduce loading on the front and back of the knee (i.e. less frontal plane moments) by limiting side-to-side rotations on the knee-joint, suggesting that landing with a forefoot strike plays an essential role in stabilizing the knee-joint during running. 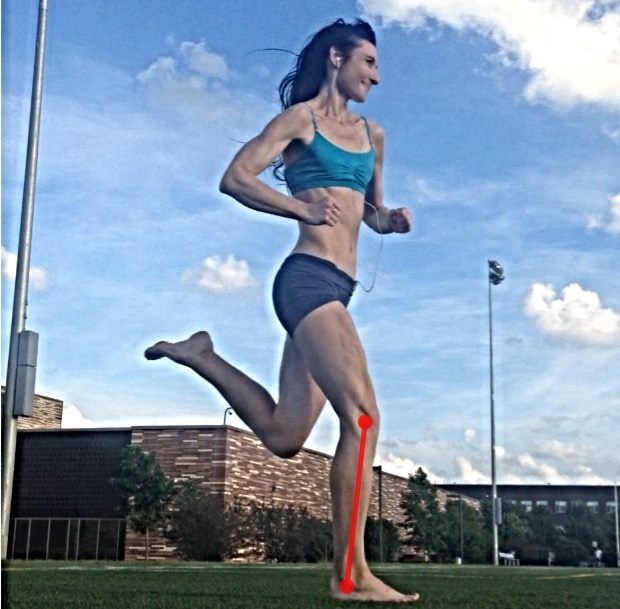 Frontal plane moments (shown above) at the knee was found to be much lower in forefoot running as compared with heel strike running. 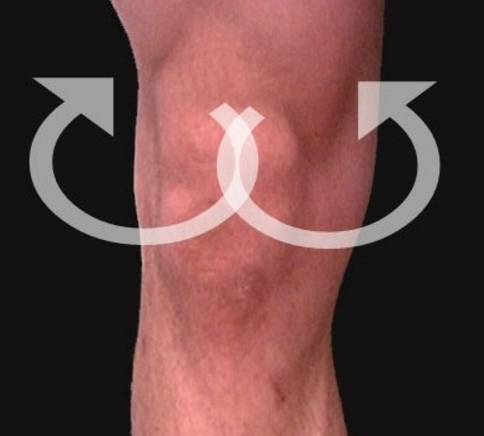 The problem with high frontal plane moments on the knee while you run is that it is linked to patellofemoral pain and the progression of osteoarthritis. You can use forefoot running to maintain healthy knees because forefoot runners have significantly lower frontal plane moments at the knee compared to heel strike runners, suggesting that forefoot running may reduce the prevalence of knee-joint degeneration in runners (Kulmala et al. 2013). How exactly does forefoot running reduce side-to-side knee movements? One way forefoot running reduces side-to-side knee-joint rotations is through eliminating knee extension at touchdown, allowing the foot to land closer to the body (i.e your center mass), prompting better dynamic stability during stance (Kulmala et al. 2013), as compared with heel strike running which involves more knee extension at touchdown and over-striding. Forefoot running reduces frontal plane moments on the knee-joint because the knee is bent at touchdown, allowing foot strike position to be close to, or under the ankle and knee, thereby stabilizing the knee-joint. Heel strike running increases frontal plane moments on the knee-joint because the knee maximally extends at touchdown (as shown below), allowing the foot to heel strike and encourages foot strike position too far ahead of the body whereby landing this way exposes the knee to greater compressive forces and makes the knee-joint less stable during stance. Another way heel strike running increases knee-joint stress is the foot rollover phase that takes place immediately after heel strike. Foot rollover increases the amount of time the foot spends on the ground, affording more time for the knee to rotate. In contrast, forefoot running involves a higher step rate which reduces contact time of the foot with the ground, thereby reducing unwanted knee movements associated with knee injuries. Click here to learn more about the link between heel strike running and knee injuries. From a clinical standpoint, forefoot running has been remarkably successful at reducing knee pain in runners who were heel strikers. The best strategy to restrict frontal plane moments on the knee and thus, prevent runner’s knee is to bend the knee upon and at foot strike, making sure to land on the front part of your foot first (i.e. under your toes). Why Ethiopian Runners Win – Understand that Ethiopian runners are not genetically gifted for running. Barefoot Running – Find out why training barefoot makes you run better in shoes. Running with Bunions – Got a bunion? Find out how landing on your forefoot is better for your bunion. The Arches in Forefoot Running – Learn why landing forefooted while you run is better for your arches. Kulmala et al. Forefoot strikers exhibit lower running-induced knee loading than rearfoot strikers. Med Sci Sports Exerc, 2013; 45(12):2306-13. Great insight for helping with knee pain! Glad I came across it, and appreciate the reference included. I may have to use it.